Both applications are totally different whereby die casting invokes pouring molten metal into a cast and plastic moulding is where you inject molten plastic into a mould. The science of transforming plastic resins into useful things through the technique called injection molding had made an incredible impact on industry and on our daily lives. 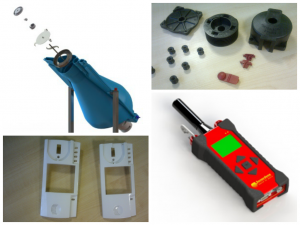 The procedure of moulding parts with injected plastics has transformed all of our lifes due to the applications and inventions that this process has made in making mass produced components easier and cost effective. And also with the fast pace of technology and computer software the design of parts have no limits and with the advancement of new plastics resins the future looks great. To reduce sinking, bending, residual stresses as well as boost mould fill and cycle times you are able to have consistence wall depth through the entire component. Use minimum thickness agreeable with all your design specifications. It helps ensure cooling, brief cycle periods and also bare minimum shot weight. This is where knowledge and experience comes into play because all resins have there advantages and disadvantages so knowing the characteristics of each is worth its weight in gold when applying these to your components. 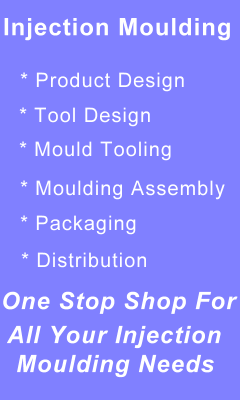 Here at IMT who are a plastic mould manufacturerwe who design mould tools for your components ready for injection moulding. Description: The flexibllity of making all sorts of components by using polymers was a great invention by using moulding machines that inject plastic resins into moulds have become very common and mould design has got creative with the advancement in computer aided design software.